The wider the network of photometers from which the data arrive at the Data portal, the more efficient and precise our dashboards will be and the better results will be achieved that serve as a basis for research into light quality. 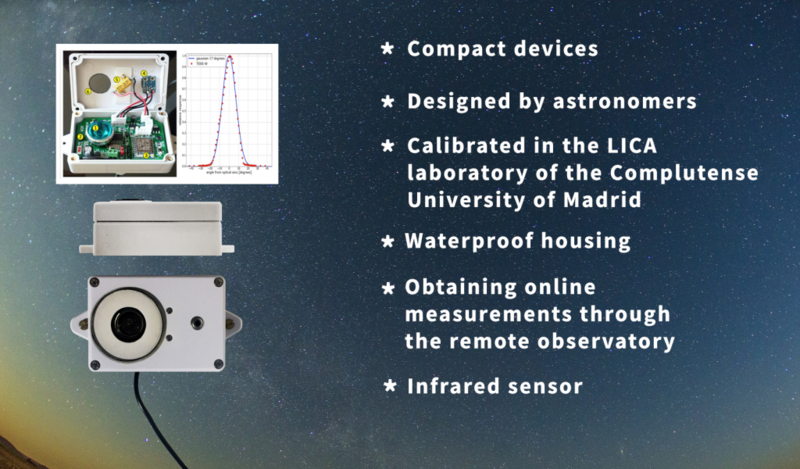 For this reason, a project has been launched that puts a photometer on the market, designed by astronomers and calibrated in the LICA laboratory of the Complutense University of Madrid. It is easy to transport and inexpensive, facilitating access to this measurement tool for researchers who need it, and for amateur astronomers who want to participate in this research by collecting data in their explorations of the starry sky. 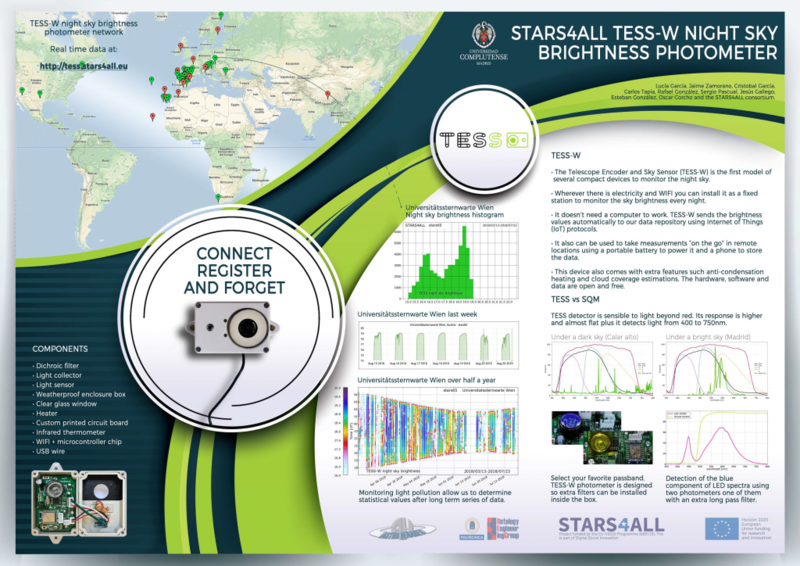 Poster presented at IAU 2018 in Vienna.